BUT IF YOU BOOK A CARAVAN YOU CAN FISH THE PEG ASSOCIATED WITH IT. 1. 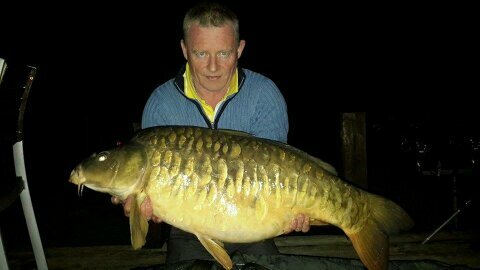 It is compulsory to scan all fish and record the last five numbers wherever possible, if you cannot find the tag, please call us on the radio, all fish over 50lb must be checked by manager on site, all fish over 60 must be checked and verified then It can be named if it does not have one 2. barbless hooks only. 8. Strictly no sacking of fish. 10 the use medicarp or similar is compulsory. 11. Rods must be attended at all times. 13. ONLY particles purchased on site may be used. 16. Rig tubing must be used. 17. Controlled alcoholic drinking and Gentlemanly conduct is expected and required. Drugs are not allowed. 19. Arrival is Saturday 12.00 pm. Departure from swim on Saturday is 10am. Rules and conditions are for the safety and enjoyment of the anglers and the well being of the fish. 21. Children under 16 do not fish, Under 18s must have adult supervision at all times. 23. The peg beside the house is out of bounds and private but can be fished at anytime (even if you have lake exclusive) by the owner or family. But if the owner is not on site it maybe fished with the consent of the Manager. Also disabled anglers may be allowed to fish it .